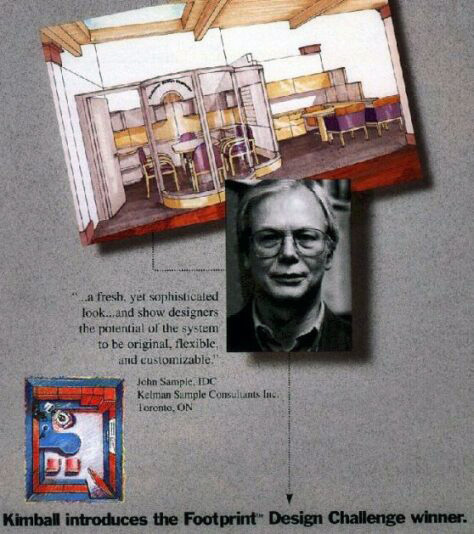 Kelman Sample Consultants Inc. have been providing Interior Design & Planning services in Ontario since 1988. The philosophy of this office is that good design is not the result of using expensive materials and methods but rather is the result of the imaginative use and the sensitive combining of materials, forms and colour to make an elegant but powerful statement. We believe the decision making process for the design of a project is based on a collaboration between Client and Designer. The best results can be achieved by obtaining a realistic understanding of our Client’s needs and financial resources at the outset of the design process, and by working toward an on-time, on-budget conclusion. Our senior staff and principals have many years of experience in a variety of backgrounds, in addition to their training in Interior Design. This, along with a careful selection of Consultants appropriate for the type of project, enables us to handle the scope and variety of work we undertake. We have a good working relationship with most municipalities in the Toronto area as well as in other locations in Ontario and have a thorough working knowledge of the Ontario Building Code.